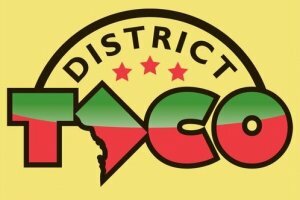 Taco lovers of the Hill, if you have not yet visited District Taco, at 656 Pennsylvania Avenue, SE, make plans to stop by ASAP. How you like your taco is a very personal thing, so I will not even try to declare them to be the makers of the best taco in the neighborhood. But I will say that if you want to create a taco that will properly satisfy your cravings, you need to give this place a try. I first heard of District Taco when I was working in Rosslyn; they were one the first, if not the first, food truck to serve the VA crowd. They eventually opened a brick-and-mortar location in Arlington and their popularity started to spread. And this last spring, they opened their third DC location in the space formerly occupied by Yes! Organic Market. I was a bit overwhelmed by the options on my first visit but quickly deciphered the code. For tacos, pick your protein then toppings. If choosing a combination of three is too much, just pick between the “American Way” and “Mexican Way.” Then decide if you want a side of chips and guacamole or queso dip– butwhy would you not get a side of one or even both? While you wait for your order, check out your salsa selections and get ready for some tastiness. A word of caution: the spicy is SPICY. Don’t say you weren’t warned. The menu also features items like burritos, quesadillas, nachos and more, in case you want something other than a taco. I got three tacos during my first visit, all different ways so I could get a sense of what was really being offered. Not one of them disappointed. The queso dip was also excellent — and I am a bit picky with my cheese dip. Even when I reheated it the next day, it was pretty darn good. A couple of weeks later I returned with a friend for breakfast. I had been introduced to the wonder of breakfast tacos in Austin a couple of years ago and had fallen in love at first bite. I guess that’s not hard for someone who loves breakfast foods as much as I do. As with my dinner a couple of weeks earlier, the selection of three styles of breakfast tacos perfectly hit the spot. One of the added benefits of District Taco is the large seating area. Since it is not a table-service restaurant, turnover is frequent enough that you can get a seat without a long wait. The atmosphere also makes it very kid-friendly, and since you can get just one taco, or 10, it’s a good choice if you need to satisfy tiny appetites along with your own. No matter where your taco devotions lie, District Taco is a great addition to the neighborhood. Stop by and get creative with your fillings and toppings. Be sure to return for breakfast, because a breakfast taco with avocado and bacon is pretty hard to beat. We love District Taco–but REALLY wish they would open earlier on weekends for breakfast tacos!! !